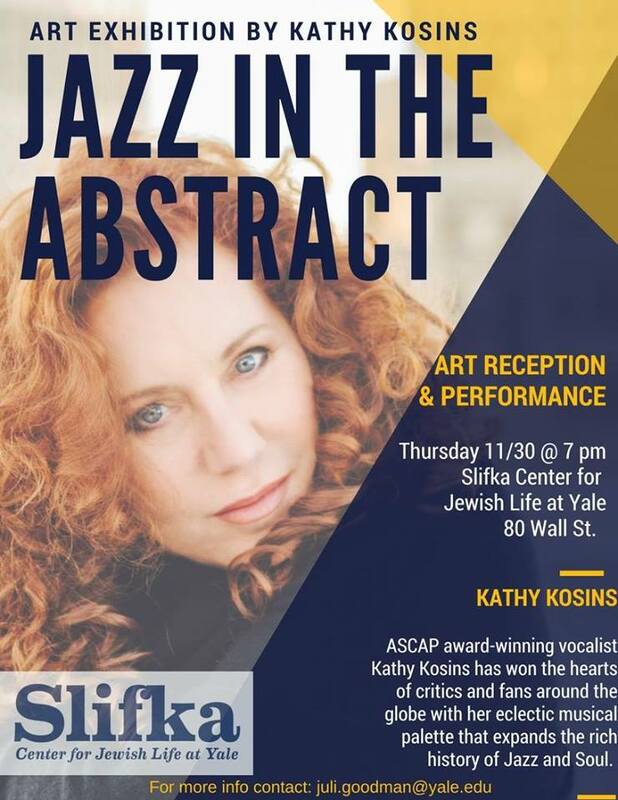 This from the Slifka Center, 80 Wall Street, New Haven, CT, an event featuring singer, songwriter, and artist Kathy Kosins. "Art Reception for the Exhibit “Jazz in the Abstract” featuring artwork by Kathy Kosins including a live performance. Light refreshments will be served. 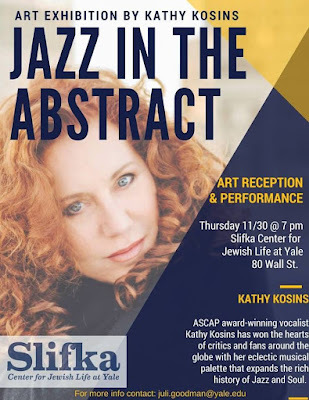 ASCAP award-winning vocalist Kathy Kosins has won the hearts of critics and fans around the globe with her eclectic musical palette that expands the rich history of Jazz and Soul." Call 203-432-8523 or write juli.goodman@yale.edu for more information. 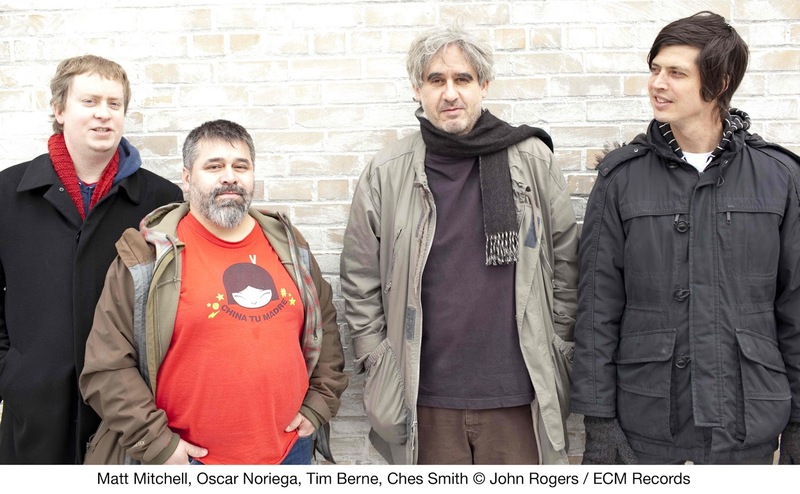 Tim Berne's Snakeoil - Berne (alto saxophone), Oscar Noreiga (clarinets), Matt Mitchell (piano, keys), and Ches Smith (drums, percussion) - perform two sets on Friday 12/01 at Firehouse 12, 45 Crown Street in New Haven. Noisy, challenging, inventive, dynamic, fast-moving, and so much more, Tim Berne and company have created a sound like no other ensemble on the planet. The first show begins at 8:30 p.m.. For ticket information, go to firehouse12.org or call 203-785-0468. 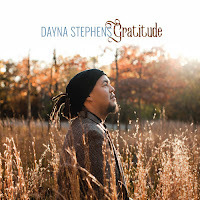 Saxophonist (tenor and soprano) Dayna Stephens comes to The Side Door Jazz Club in Old Lyme Saturday 12/02. He and excellent Quartet - Aaron Parks (piano), Rick Rosato (bass), and Bill Stewart (drums) - will play music from his latest CD "Gratitude." Stephens has such a sweet tone and composes music that pulls you in on its melodies and fascinates with its power and calmness. All four of the musicians are excellent soloists yet they also understand interactions and support. 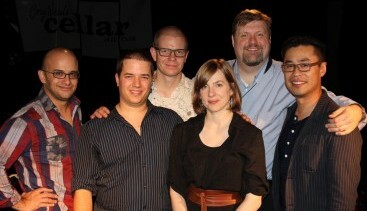 The first set begins at 8:30 p.m. For more information, go to thesidedoorjazz.com or call 860-434-2600. 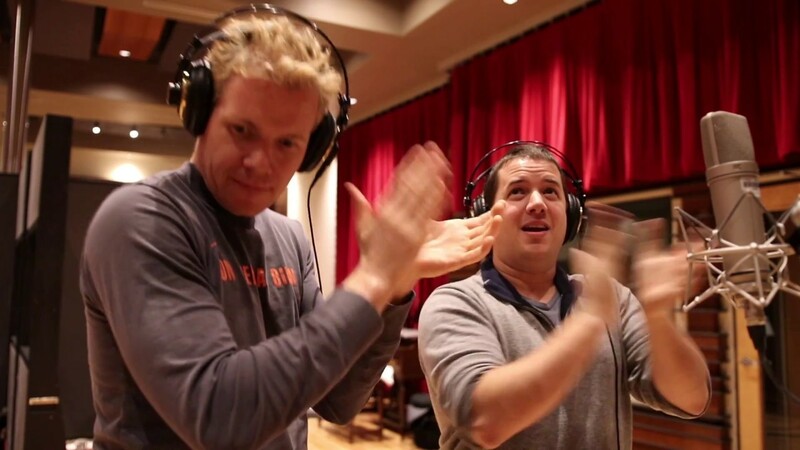 Drummer, composer, and arranger Ernesto Cervini is quite a busy human. He leads or co-leads eight groups (! ), is a publicist for a growing number of Canadian musicians, and is a member of several other ensembles. 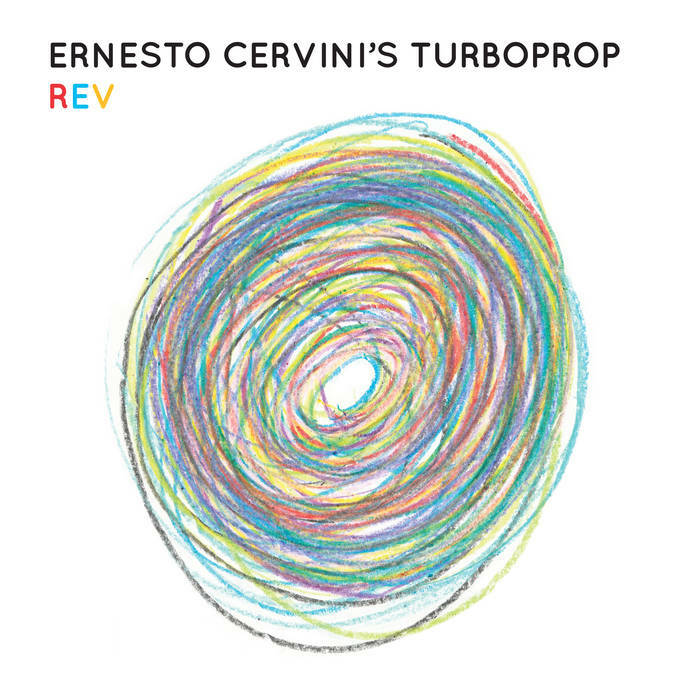 His sextet, Ernesto Cervini's Turboprop, has just issued its second album - titled "Rev" (Anzic Records), the ensemble features the mighty rhythm section of Cervini, Adrian Farrugia (piano), and bassist Dan Loomis plus the front line of Joel Frahm (tenor saxophone), Tara Davidson (alto and soprano saxes), and William Carn (trombone). The majority of the program was recorded after the ensemble had finished a tour of Western Canada. The joy and camaraderie that the sextet exudes is obvious from the start and, honestly, the music they create is irresistible. Farrugia contributes the opening track, "The Libertine": from the solo drums lead-in, the band builds off the sinewy bass and piano lines, playing a handsome melody. The pianist dances over the active rhythm section. There's an appealing urgency as the music rushes forward. Frahm roars out of the piano solo, pushed by and pushing back against the tumultuous rhythms. That spirited interplay continues on Cervini's original "Granada Bus." Again, the bass and drums add the jet fuel to the music while the dance melody opens up for delight-filled solos from Ms. Davidson (soprano), Farrugia, and Frahm. The title track (also a Cervini composition) is also a fiery exchange between the horns and drums with the alto, tenor, and 'bone "riffing" away while the drummer thunders beneath them. There are three eclectic "covers" in the program. "No Rain", a tune by Blind Melon that captivated the leader as a youth, maintains the sprightly melody while getting a powerful rhythmic undercoating. Carn's dancing solo is a highlight (pay attention to splendid counterpoint created by Loomis) as is the lovely and powerful soprano sax statement. "The Daily Mail", written, recorded, and released by Radiohead in 2011, is a handsome ballad that opens with a strong melodic bass solo over the simple piano chords before Frahm enters with the melody. When the tenor, soprano, and trombone take off for the combined solo, the songs takes on a gospel feel. The sextet does not overthink the piece but really the capture the power and mystery of the original. The third standard is "Pennies From Heaven" and the band swings the heck out of the piece. Frahm plays the theme then joins for the alto and trombone for a delightful romp. Later on, Loomis steps out in front for a fine melodic solo before the song swings its way out. The music and the performances invite you into "Rev", keeping your attention throughout and making you want to return again and again. Sure would be great to see and hear this band live in the U.S. but the upcoming dates are all in Canada. 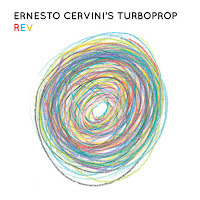 In the meantime, jump aboard Ernesto Cervini's Turboprop and enjoy the ride! For more information, go to www.ernestocervini.com. 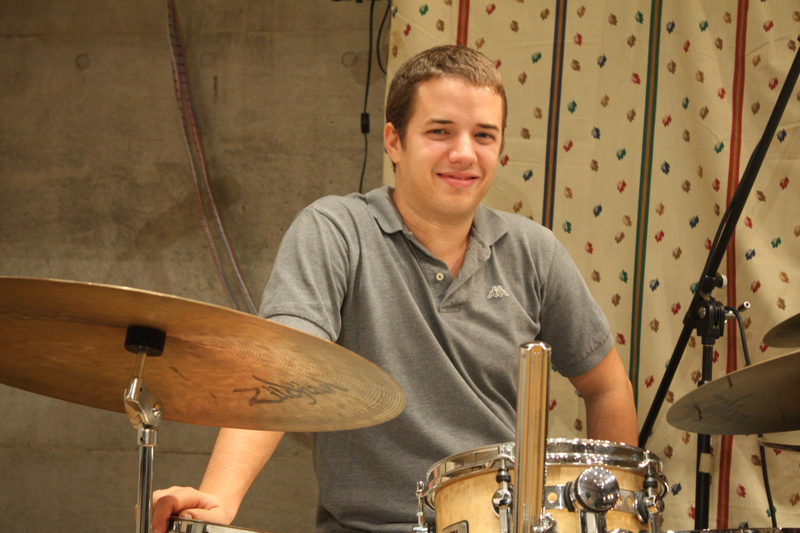 Dylan Jack is a drummer and composer from Massachusetts who has played in a number of rock and fusion bands. 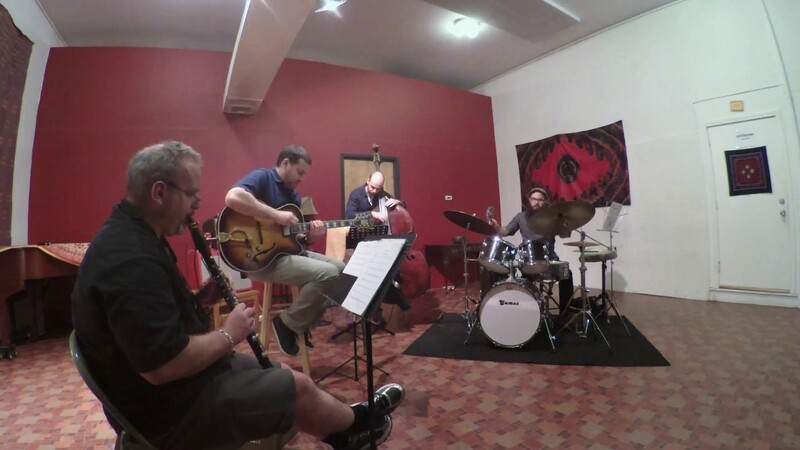 Thanks to a gig that fellow student (bassist Anthony Leva) at Bard College's Longy School of Music in Boston had booked, Jack met and played alongside guitarist Eric Hofbauer and clarinetist Todd Brunel. 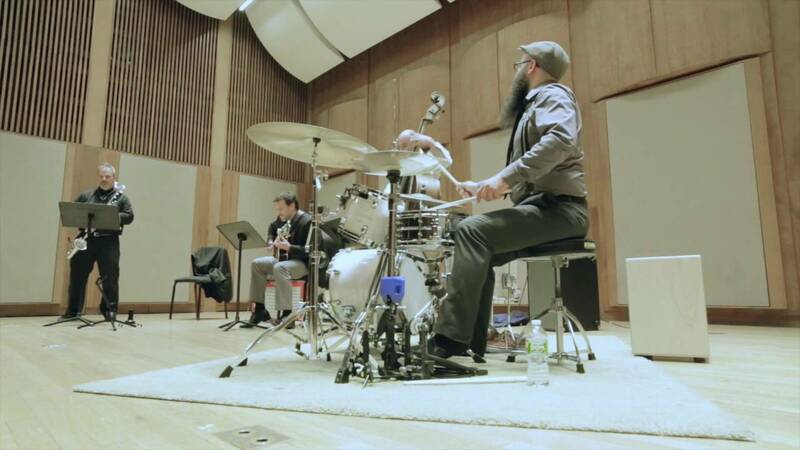 The drummer than asked the trio to play for his graduate recital: soon, the band had gelled playing his original material, played more clubs and concert halls, and Hofbauer invited Jack to join his Creative Nation Music label. The results of a late February 2017 day in the studio is the drummer's debut as a leader. 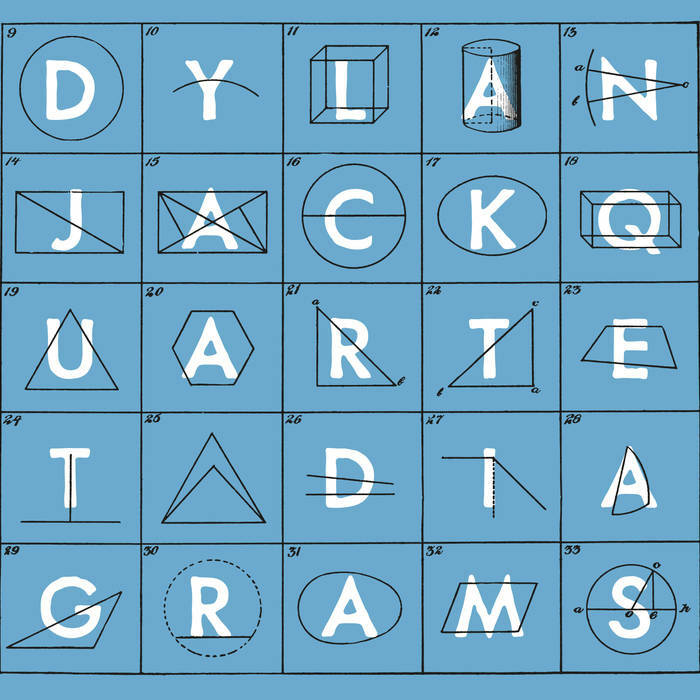 "Diagrams" is credited to the Dylan Jack Quartet and the music is really a collective affair. You can hear in the first seconds of the opening track "Are You Made of Coins" how the rhythm and melody are connected. The high-spirited theme, played by bass clarinet and guitar, has its roots in bop and funk but it's such fun to hear how Jack and Leva change the feel during Brunel's solo (sounds like a touch of bossa nova). When the guitarist steps out, the three plays a funky riff as Hofbauer digs in with a blend of single-note runs and chordal lines. The exuberant drum solo during which Jack keeps circling back to the melody really stands out. The listener might not be able to tell listening to the gentle yet firm feel of the melody that the title of the next track, "Sentenced", was influenced by the trial of the Boston Marathon bomber. After the theme section, Hofbauer steps out over sweet brush work and a genial walking bass line. The feel changes during Brunel's powerful soprano sax solo with much more energy from the rhythm section - note the interaction between the soloist, drums, and guitar. Leva solos over the impressionistic guitar. The piece has now slowed down and is more reflective before the the guitar, bass, and soprano reintroduce the melody. They drop out, Jack takes over for an intense solo with his brushes - it makes the listener lean in. He switches to sticks yet never overpowers the song, again referring to the melody which invites the band back in for the close. "Ghost Pal", the longest track (13:58), opens in free time, with much dynamic variation and shifting focus, before the melody is introduced at 3:50. The piece teeters between being a ballad and short, spiky rapid-fire riffs, before Brunel steps out for a powerful clarinet solo. As he quiets down to an eerie moan, Hofbauer steps out. His electrified acoustic sound is quite melodic and percussive: in contrast, Leva plays a bowed bass solo. 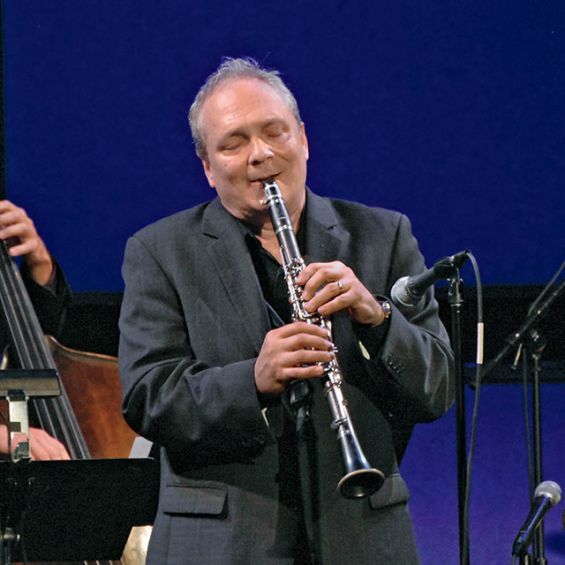 Jack's skittering brush work takes center stage as with more clarinet moans, rapid-fire yet quiet guitar riffs, and the occasional bass interjection. Soon, the band reenters, the "ghost" story continues, with a return to the melody line taking the piece out. "Diagrams" asks a lot of the listener, as the music shifts and darts, changing direction with glee. Yet, one is rewarded time and again by hearing how this quartet works and plays together, really listening and responding to each other, not just "blowing" over the changes. The Dylan Jack Quartet creates music worth exploring; let go of your expectations and enjoy this sonic journey. 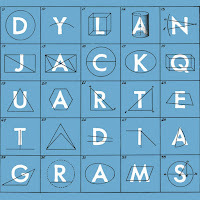 For more information, go to dylanjackmusic.com. On Saturday night, The Side Door Jazz Club in Old Lyme welcomes the great clarinetist (and darned good tenor saxophonist) Ken Peplowski for an evening that will illustrate why the Cleveland, Ohio, native is considered one of the best "stickmen" around. He started off his career playing in polka bands in his home city and discovered jazz in his teens. While still in college, he was invited by Buddy Morrow to join the Tommy Dorsey Orchestra and has been a working musician ever since. His credits include working with Mel Torme, George Shearing, Madonna, Woody Allen, Marianne Faithfull, Benny Goodman, and many others. He studied tenor saxophone with Sonny Stitt and his style on that instrument reminds many of Coleman Hawkins and Ben Webster. 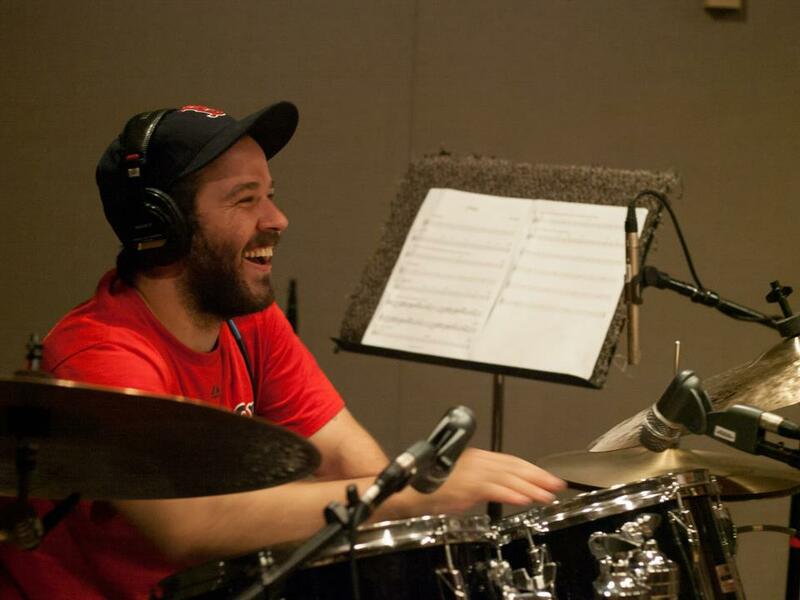 For the 11/11 gig at The Side Door, Mr. Peplowski brings a trio of musicians he has played and recorded a number of times in recent, including pianist Ehud Asherie, bassist Martin Wind, and the irrepressible drummer Matt Wilson. It's the band that is on his 2016 Capri CD "Enrapture" (my glowing review is here) so one should expect quite the eclectic repertoire, from Duke Ellington to Lennon & McCartney, from Noel Coward to "Fats" Waller. It's a classy quartet with a splendid repertoire - chances are very good you will be mesmerized even as you are tapping your feet. For ticket information, go to thesidedoorjazz.com or call 860-434-2600. 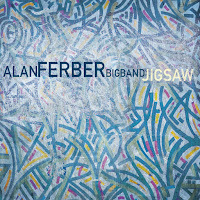 It's been four years since trombonist and composer Alan Ferber released a big band recording (the impressive "March Sublime") but he's not just been sitting around. 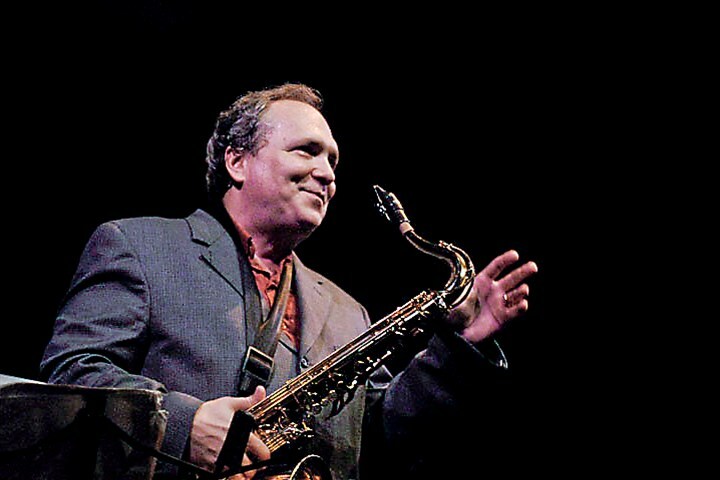 As a leader, he released a Nonet CD in 2016 and as a sideman, he's appeared on a slew of recordings with groups led by Darcy James Argue, Frank Carlberg, Brian Landrus, Miguel Zenon, and Paul Simon (among many others). 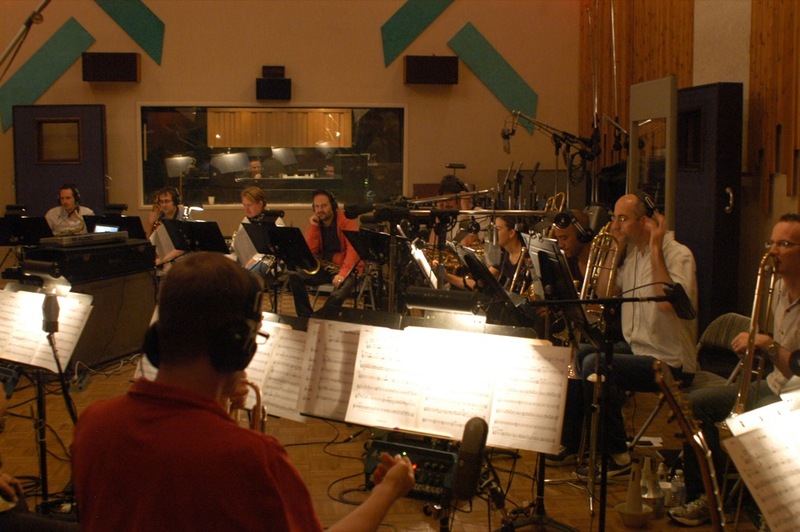 Late October saw the release of "Jigsaw" (Sunnyside Records), his second recording featuring his 17-member large ensemble. It's pretty much the same group that recorded the 2013 album except that trombonists John Fedchock and Jacob Garchik replace Josh Roseman, Ryan Keberle, and Tim Albright (the latter two each appear on for tracks) plus trumpeter Alex Norris is the full-time replacement for Taylor Haskins (full lineup below). 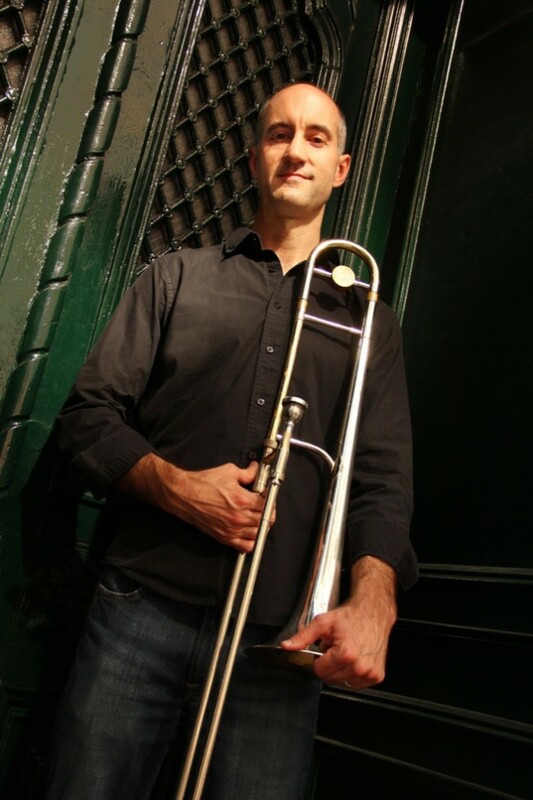 Ferber is a such an intelligent arranger, making such creative choices for his sections, utilizing the great dynamic differences between the trombones and the higher reeds as well as Anthony Wilson's electric guitar. Note how the medium-tempo ballad "She Won't Look Back" (composed by Wilson) builds off of the bluesy guitar intro and Matt Pavolka's melodic bass solo. There are hints of W.C. Handy's "St. Louis Blues" in the main melody and the supporting brass and reed phrases. 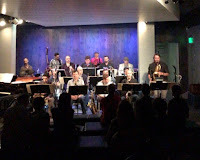 The solos are spread around from Garchik to John Ellis (tenor sax) to Rob Wilkerson (alto sax) to trumpeter Norris, culminating in a hard-edged solo from Wilson that slow fades with various players in counterpoint to the guitar. There's something a bit awry at the opening of the title track, with the powerful alto sound of John O'Gallagher flying over the pounding counterpoint of Mark Ferber's drum (he's the leader's twin brother) while there is crazy looping noises in the background (could be guitar or synth). Pavolka's electric bass begins riffing and, soon, the sections enter and they introduce the main melody. The body of the piece is made up of the interchanges between the sections before O'Gallagher takes off on an amazing journey with the bass and drums using him higher and higher. Close to the end of the 10-minute piece, the drummer gets his own spotlight with the reeds and brass riffing behind him. That power and drive is also an important part of "Get Sassy", another bluesy "shout" that opens with trombonists Ferber and Garchik in conversation. About two minutes in, the entire band enters with a "down and dirty" melody line played by the reeds and guitar (the brass joins in later on counterpoint). There is a sense of danger in the chorus; soon, Wilson steps out in front for a raucous solo and, then, all the horns enter one by one to play his or her own solo. It's chaotic yet the rhythm section never loses its direction. One imagines when the band plays this piece live, the audience is u and cheering by the close. The loveliest performance is "North Rampart", a ballad composed by the leader. It opens with a short brass fugue that signals the emotional depth of what will follow. The main melody is played by the reeds and brass with fine harmonies and counterpoint built in. Wilson takes the first solo; theres a "twang" in his sound but the blend of single-note runs and chordal phrases (played over the rhythm section only). John Ellis enters next. The reeds and brass play the emotional melody while the alto saxophonist swoops and darts around them (but make sure to listen to the excellent drumming). The brass return at the end with Ellis continuing to rise above them. One could go on and on about how delightful "Jigsaw" is to listen to. The music is, at times, challenging yet the ensemble is so alive, the sound is so clear, the melodies rich, ripe with possibilities. 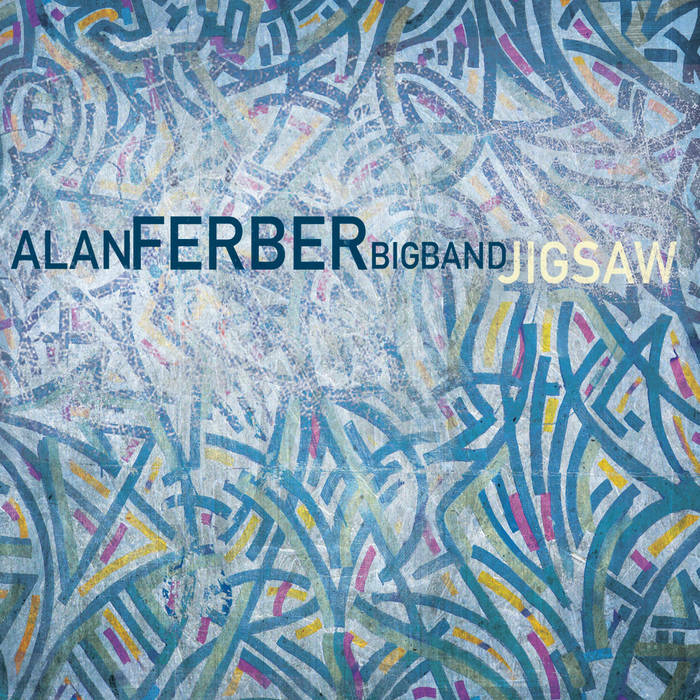 If you enjoy the large ensemble music of Stan Kenton, Bob Brookmeyer, Gil Evans, and Maria Schneider, then the Alan Ferber Big Band will brighten your life perceptibly. For more information, go to www.alanferber.com. 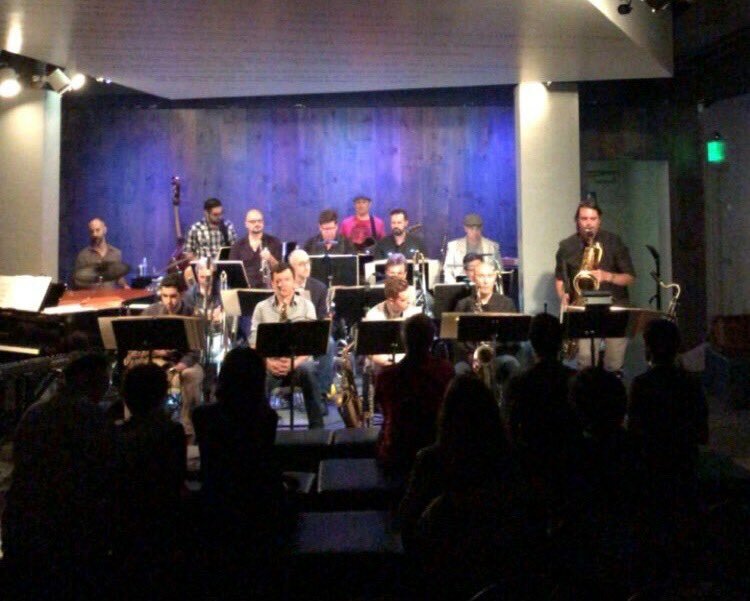 John O'Gallagher (alto and soprano saxophones), Rob Wilkerson (alto sax), John Ellis (tenor sax, bass clarinet), Jason Rigby (tenor sax, flute), Chris Cheek (baritone sax), John Fedchock (trombone), Jacob Garchik (trombone), Jennifer Wharton (bass trombone), Tony Kadleck (trumpet, flugelhorn), Scott Wendholt (trumpet, flugelhorn), Alex Norris (trumpet, flugelhorn), Clay Jenkins (trumpet, flugelhorn), Anthony Wilson (guitar), David Cook (piano, keyboards), Matt Pavolka (acoustic and electric basses), Mark Ferber (drums, percussion), Alan Ferber (trombone, composer, arranger) + Rogerio Boccato (percussion on two tracks).